When you’re planning to work with VBA macros, you’ve to make sure that the Developer tab is present on the Excel Ribbon. The Developer tab does not appear by default. Developer tab contains useful commands for VBA users. The following figure shows the developer tab on the Excel Ribbon. Right-click any Ribbon control and select Customize the Ribbon from the shortcut menu. 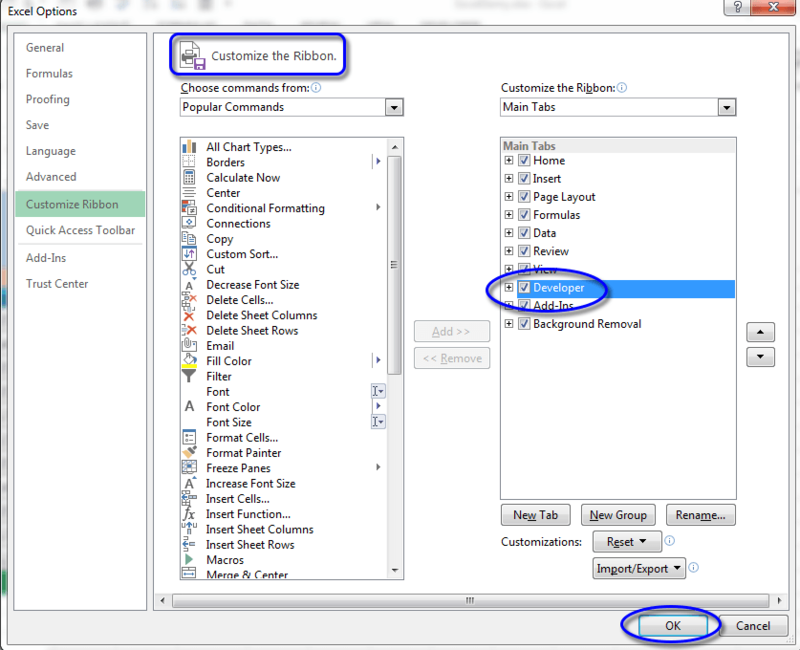 Customize the Ribbon tab of the Excel Options dialog box appears. Select Customize the Ribbon… from the shortcut menu. In the list box on the right, place a checkmark next to Developer. Place a check mark next to Developer.